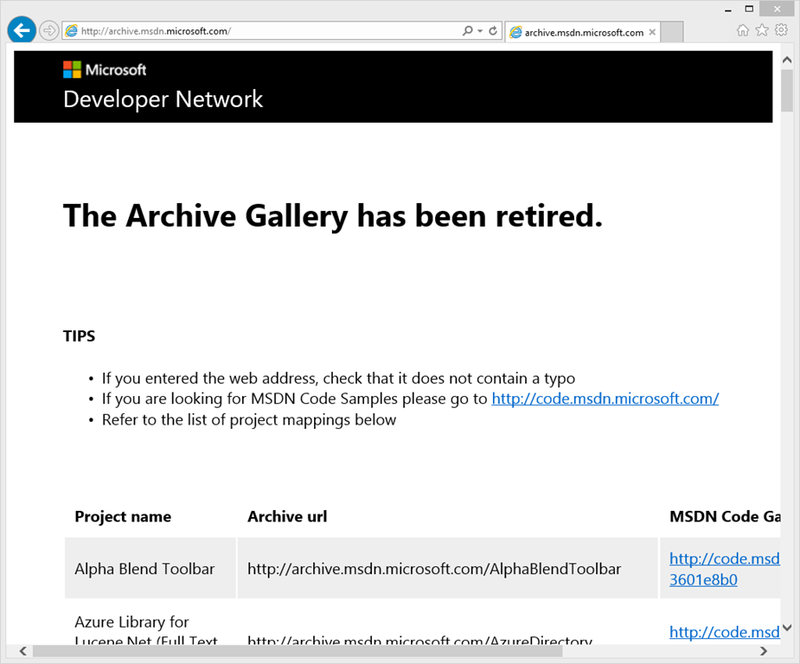 MSDN Archive has been retired this week - I do not know why they retired it before there is an adequate replacement for the majority of the tools, but it has a huge impact on my work. 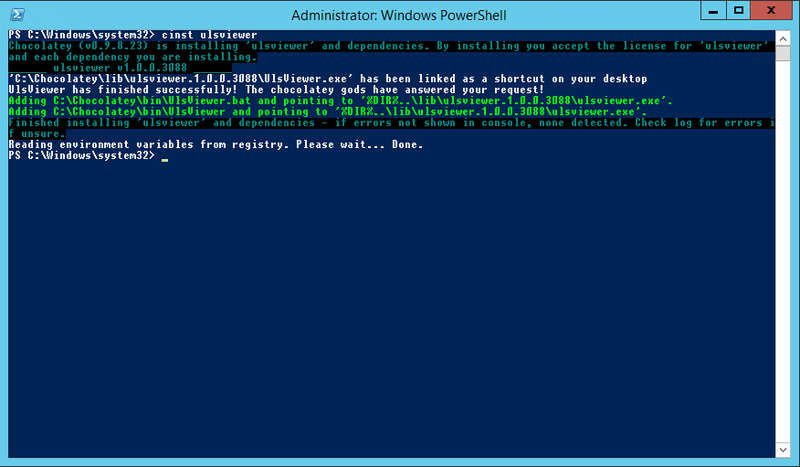 One of my favorite tool, the famous ULSViewer is was hosted there. You will be greeted with this beautiful page when you try to download the ULSViewer - no alternative download location so far! ULSViewer - why would you miss it? Why I love the tool? its tiny - with just 487kb you can grab it, copy it over the slowest RDP connection and start working in less than a minute. 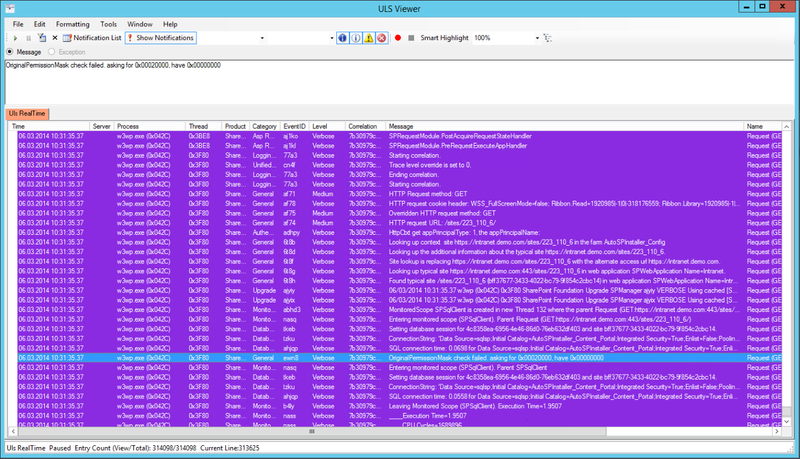 its super fast - even with the biggest ULS Logs you can still filter and search for correlations, full text and what not. 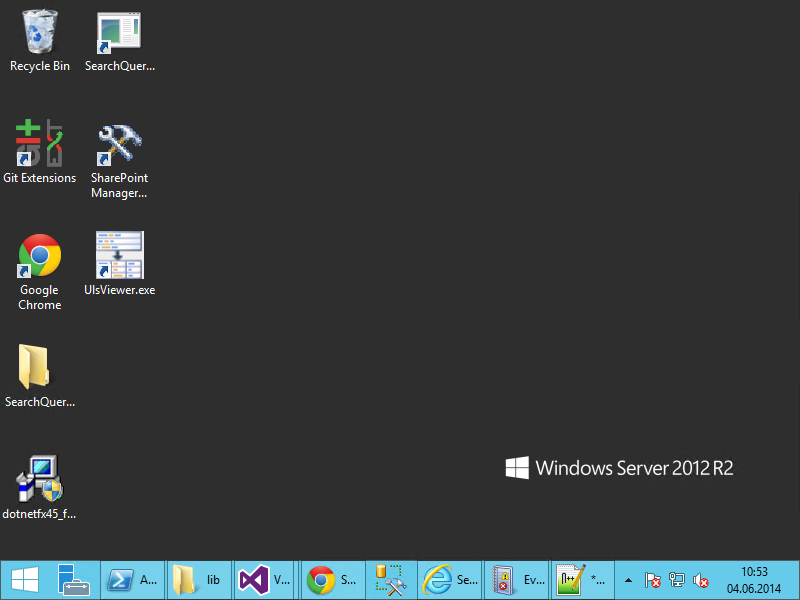 its just one file - no installation, plain .exe file, it can not be simpler. 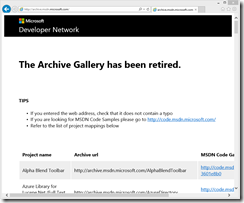 the filtering and coloring is superb - reading the uls can be very challenging (sometimes you need true SharePoint Ninja Skills), but the filtering and coloring really helps me a lot. it has real-time support - watching what happens right when it happens - I hate wait times. 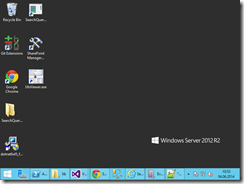 it supports all versions - support for SharePoint 2007 - 2013 is just great! its free - I used it for roughly 30 clients - no licensing costs helps quite a lot. Additionally, just yesterday I solved an issue with the ULSViewer where the coloring and the real-time functionally was a major part of the issue identification. Trevor Seward (@NaupliusTrevor) launched a page to express that we want the ULSViewer back - most favorably released with an Open Source license hosted on Github or Codeplex. 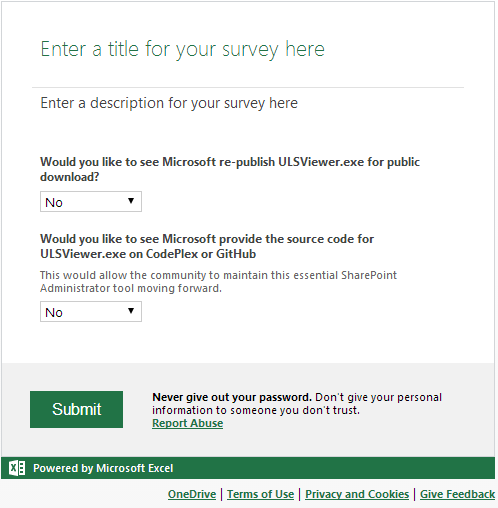 If you did not participate in the survey - please do so now! Collecting our voices helps! How to still get it? Easy one - just don’t loose the file. OneDrive it and you cant loose it, right ? If Tood uses ULSViewer, it has to be good, right? 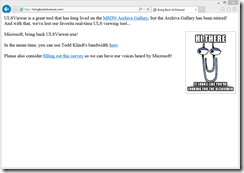 Todd mirrors the ULSViewer on his blog - download it here. This downloads the ulsviewer and creates a shortcut on your desktop - in less than a minute in total - quite handy and super fast!